Thrilling, in its intensity and shocking in its reality this chapter brings readers face to face with early 19th Century tribal life in southern Africa. 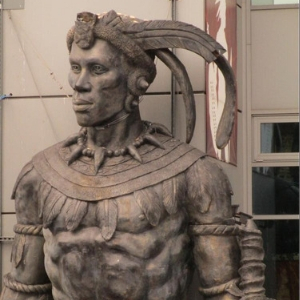 Shaka, King of the Zulu and Mzilikazi ,King of the Matabele were tyrannical warrior Kings who literally set southern Africa ablaze and bathed it in lustful bloodletting. Their story, as told to the reader, is the most eventful in southern Africa at that time. This turbulent episode in history was pre-eminent, to the ultimate effects it had on the future of the entire region, and all its peoples.